The final day of Burger Week had finally come, and I was both sad and relieved to be ending this meaty journey. Either way, there was still 7 burgers standing in the way of me reaching my goal, so we ventured back into this wonderful city. Joining me on Day #7 was Don, Olivia, Nadine, Rachel, Ryan, and Jordan. We started the day off with a breakfast of burger proportions. Between the French-toasted bun, was a breakfast fit for a king, or in this case, a Burger Ambassador. 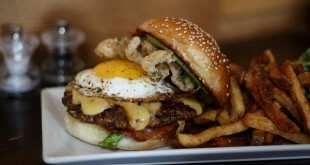 The egg was a very welcome addition (as always), and there was tons of bacon piled on top of the cheesy patty. 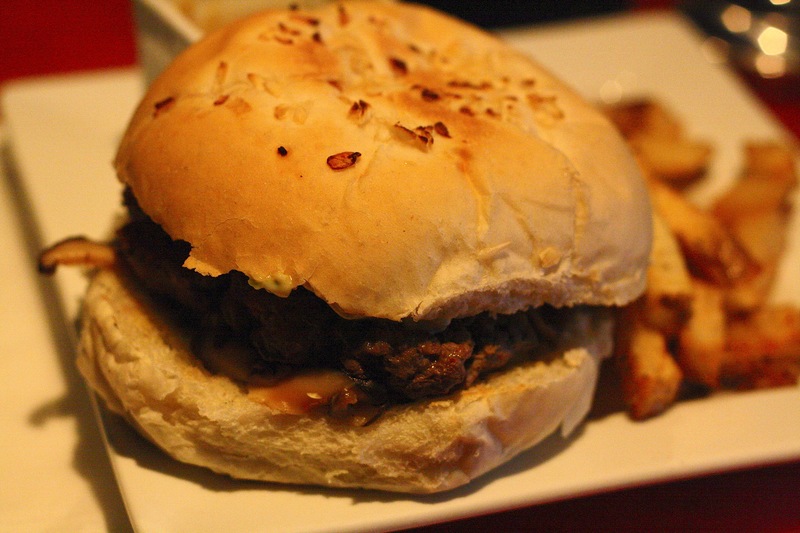 The maple mayo was super delicious, and it was as if the burger had maple syrup drizzled on it. The French-toasted bun was great, and it provided an inventive alternative to your typical toasted bun. 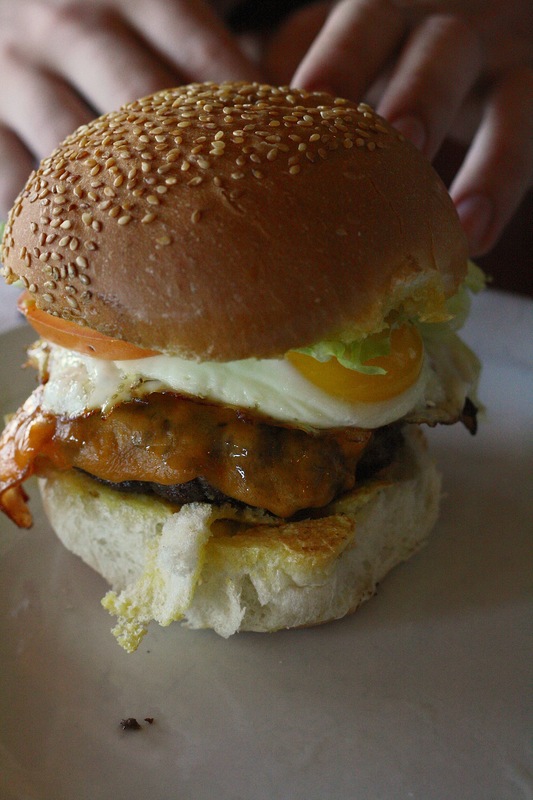 This burger, with it breakfast influences, was a really tasty time. Next up was another classic take on a burger with your typical toppings. It may have been a standard burger in terms of contents, but it definitely didn’t have a ‘standard’ taste. 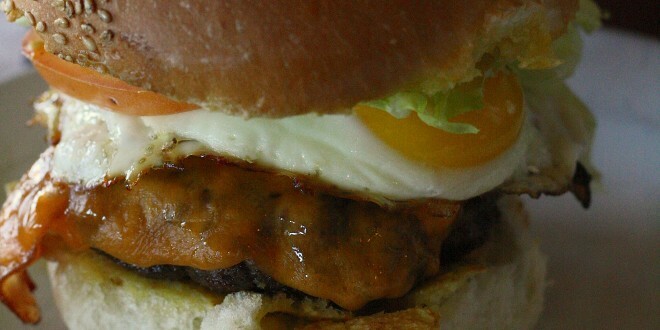 The burger patty was cooked nicely and it was full of delicious meaty juices. My favourite part of this burger was the house burger sauce, as it was full of flavour, and it really stepped it up for this classic burger. This was a great burger, especially for those that weren’t looking for a crazy combination of things on their patty. Admittedly, I have been known to have a Big Mac every now and then, so when I heard of the vegan take on the burger from EnVie, I knew I had to try this burger. I had heard from other people that they hit the “Big Mac sauce” spot on with their take, however, I didn’t think that it tasted like the classic sauce at all. That wasn’t a bad thing at all, as they still created an awesome sauce for their burger. 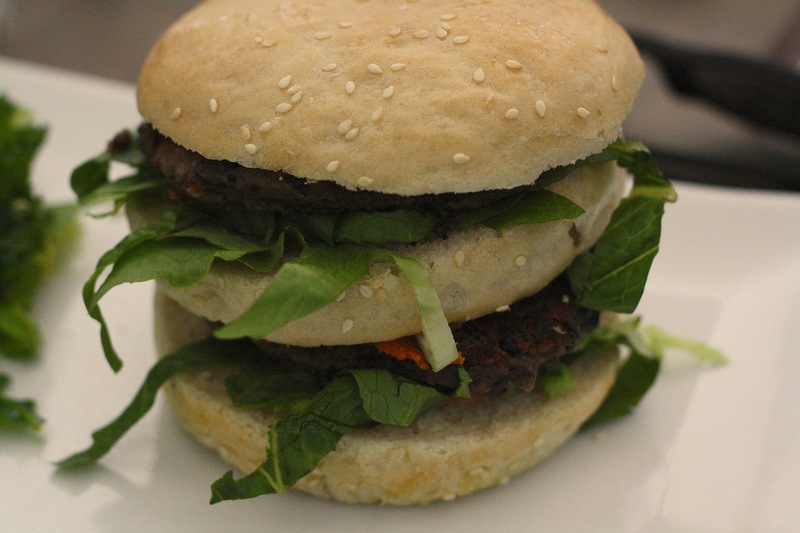 I really liked the black bean patties because they had an all around great taste and texture. The buns were delicious, and they weren’t too heavy, which is exactly what a burger of this size needed. 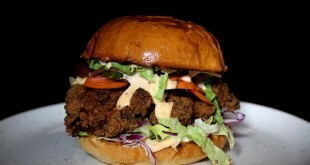 Out of the few non-meat options for Burger Week, this one definitely wins it for me. Great burger! 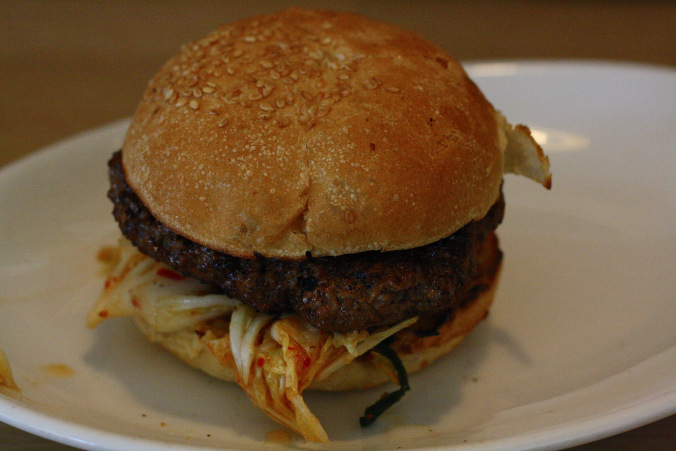 I was excited to try out the Korean BBQ Burger from The Armview, mostly because I really wasn’t sure what to expect. This was a burger with a great amount of kick. The combination of the BBQ sauce and miso mayo came together really nicely to provide a truly unique taste to this burger. I wasn’t really a fan of the cabbage and kimchi, but I think that came down to a texture thing for me. The patty was, in my opinion, the star of this burger. Not only was it delicious, it also had a slight hint of pink in the middle, so kudos for cooking the burger just how I like it! A nice burger overall. I obviously don’t know what the first burger tasted like, but it’s safe to say that I was pretty pleased with it’s backup. The corn-mushroom relish was delicious, and I really liked how the two worked together. The guanciale was a new experience for me, and it was amazing. It really added a new flavour to the burger that I thoroughly enjoyed. The garlic scape mayo was bursting with flavour, and my only complaint about it was that there may have been just a bit too much on my burger. The patty itself was alright. It didn’t hold a lot of it juices, which kind of took away from it. That aside, I was pretty happy with this burger. As someone who has never been a huge fan of lamb, I wasn’t super excited about this one. After the first bite, this burger single-handedly changed my opinion of lamb. 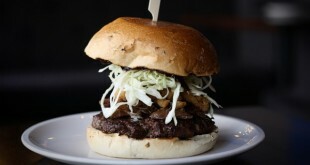 I really liked the lamb that was used in this burger, and it had so many great flavours. 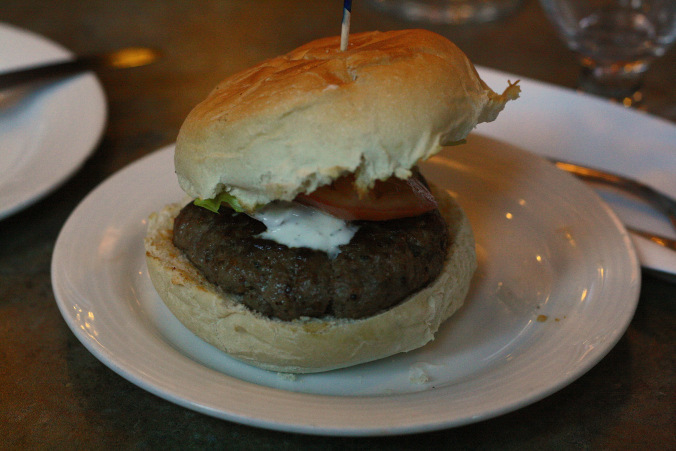 I loved the use of the tzatziki, I just wish there was more on the burger. The bun was great, and it tasted really fresh. This burger was pretty simple in terms of composition, but that simplicity worked really well for it, and it turned out to be a pretty nice time. It was finally time for the final burger of the week. I’m really glad that this was the last stop, mostly because it’s uniqueness made it pretty memorable. I had a lot of doubts about the strength of the waffles as a bun. They did start to fall apart near the end, but I actually did like the taste of the waffles with the meat. 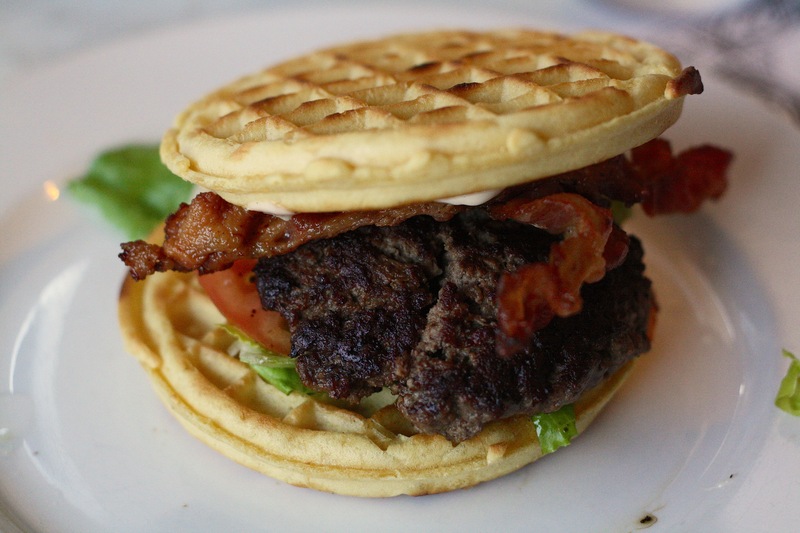 I feel like if this was made out of belgian waffles (or something stronger) it would have really improved the quality of this burger. 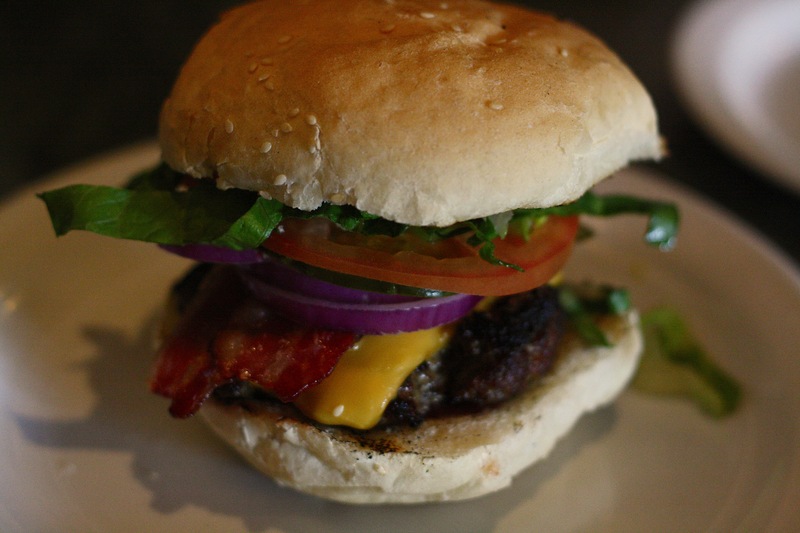 The bacon was nice, and the maple pepper mayo was great but I would have liked a bit more on the burger. Our waitress also gave us some maple syrup to put on the burger if we wanted, and I was very glad I did. The maple syrup gave the burger an awesome sweetness, and turned it into a nice dessert burger for the day and the week.